Green BIM solution for the Calculation of Energy Use for Space Heating and Cooling based on ISO, DIN and STR standards. Many engineers are looking for the energy calculation that would correspond with European standards. This software is specially made for this! Building Energy is exclusive because of its ability to calculate energy parameters according to different standards. Building Energy solution is useful for architects and MEP designers. This solution helps European designers to calculate building heating/cooling loads and energy demands. Building Energy is a great BIM solution for energetic specialists who work with energy performance certificates as well as for passive house builders. Building Energy BIM solution allows Autodesk Revit user to work with functionality that Revit does not contain. This solution allows the use of required calculations according to different countries standards, temperatures and other parameters. 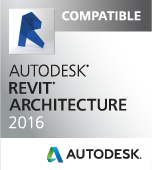 Building Energy takes the model data from Autodesk Revit analytical model and makes the calculations according to the required standards. 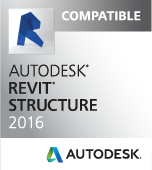 Compatible with BIM software Autodesk® Revit®, Autodesk® Revit® Architecture, Revit® Structure, Revit® MEP. 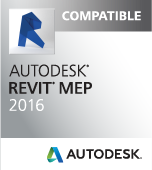 FAQ of Revit User: How Can I Know about tools4revit Software Update?